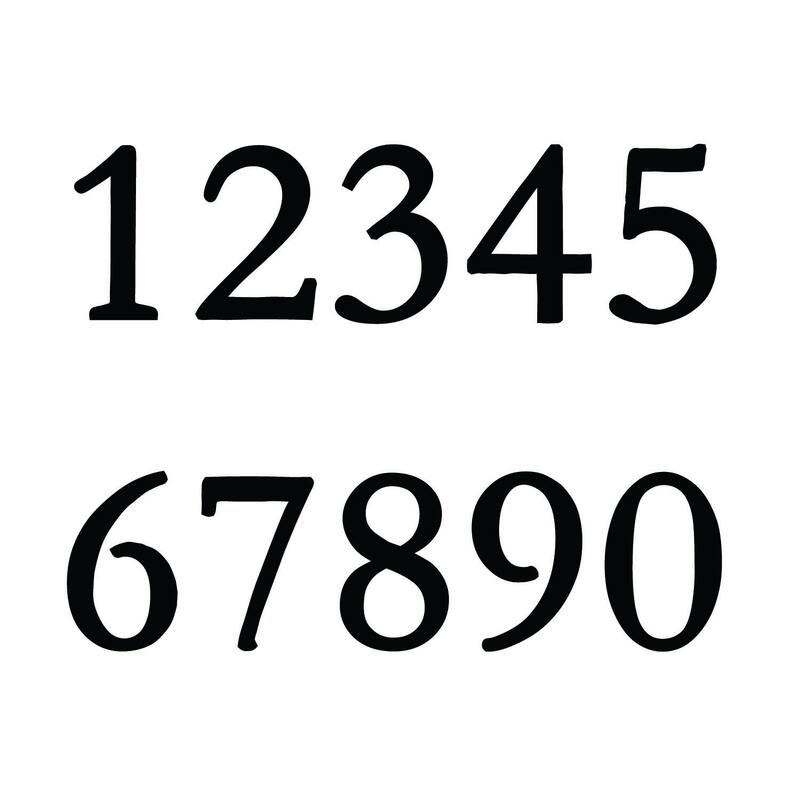 4 x number 3"/75mm or 4"/100 mm (number height) Garamond font house number made from eco friendly copper - this is a 99% eco friendly recycled product. The copper is glued to plywood which is painted with a black, low VOC exterior paint. The copper tabs left and right cover the fitting screws for wood or masonry. All fittings supplied including wall plugs. 3875 in 4" size approx 36 x 13cms/14" x 5"
Combined postage - Etsy does not allow too many postage options so if you would like use the 'With another item' option please buy the one with the higher postage first to allow for the higher delivery costs. Product was exactly what I was looking for! Prompt delivery and seller was easy to communicate with. 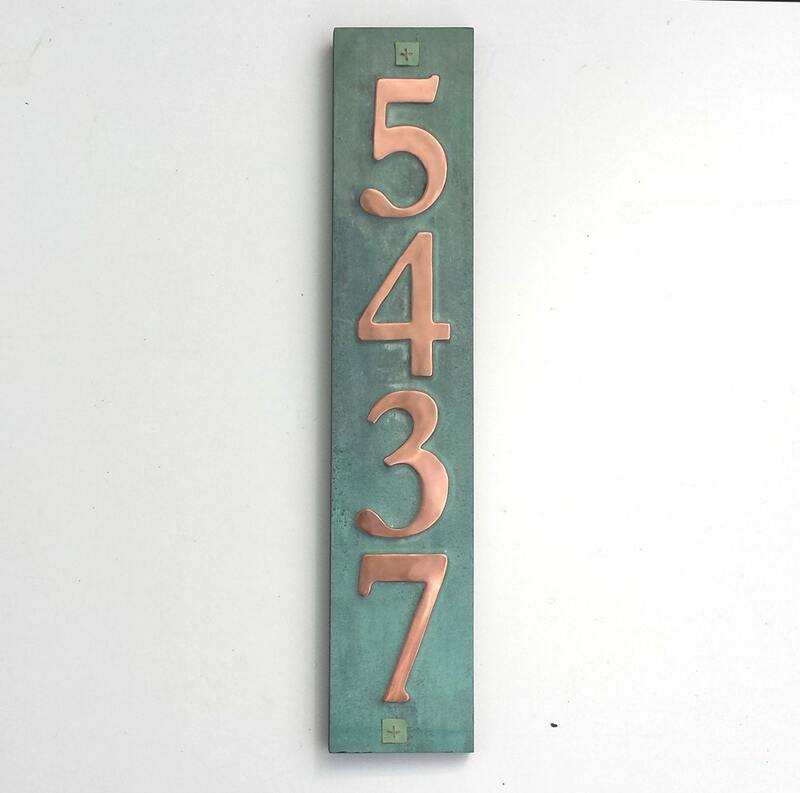 This is a beautiful and classy copper address plaque, and just what I was looking for. 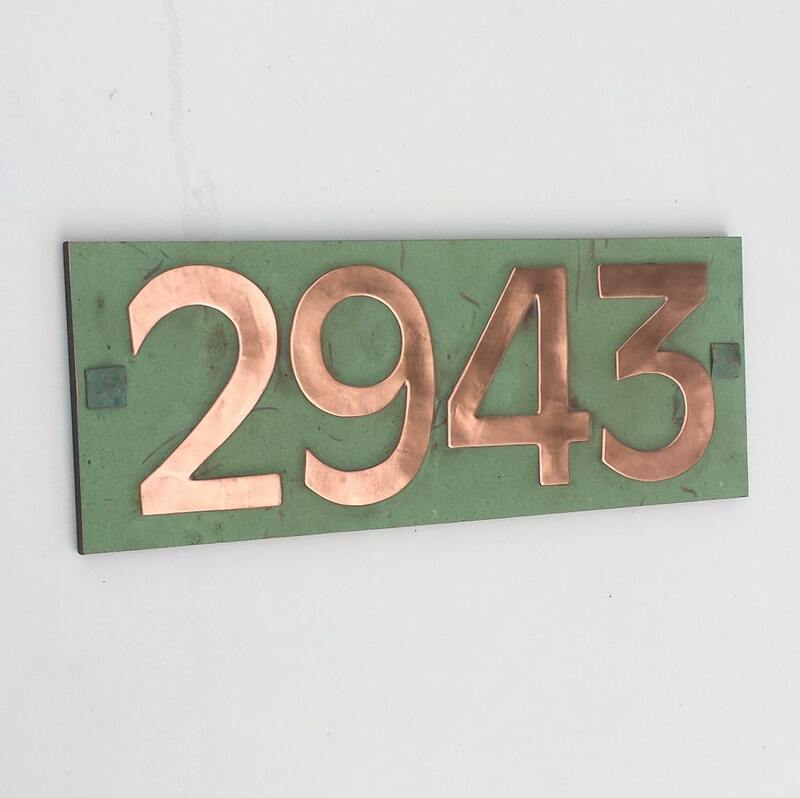 Finding a real copper sign proved challenging until I discovered this artisan on Etsy! The metal craftsmanship is superb. Beautiful patina. Mr. Meddings was a delight to work with--responsive, very helpful as far as answering my questions, a delight! He adds a wonderful touch by providing screw top covers that just make the look complete. It does take time to receive this item. As it is handcrafted after ordered, and comes from the UK, (I'm in the States) patience is required. This address plaque was worth the wait. This was made by an artist and it shows. 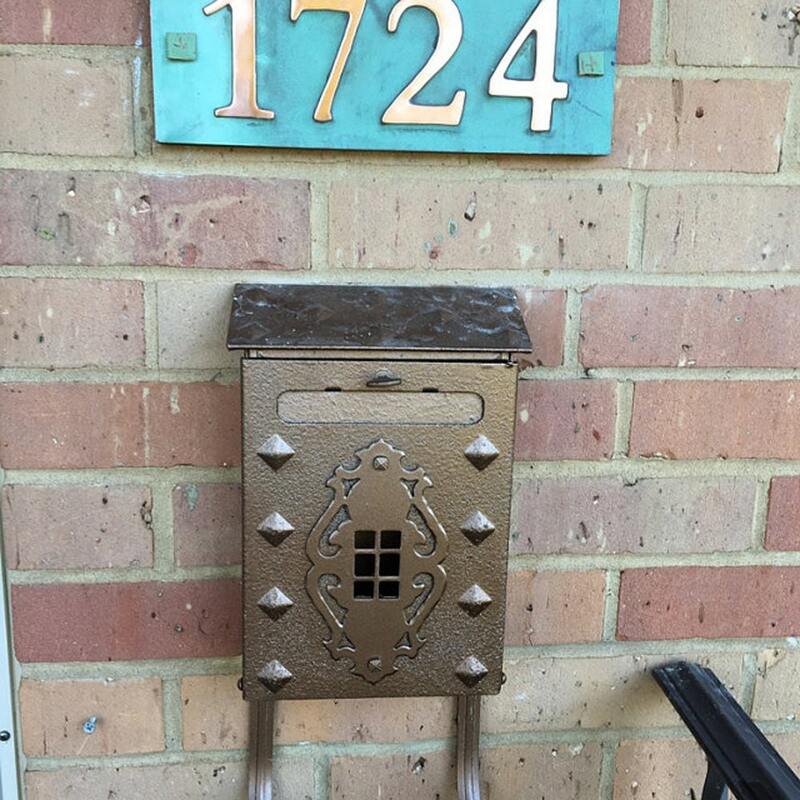 I'm sure the property values in the neighborhood went up when I installed my address plaque. It is every bit as elegant and solid as advertised.I don't think I could overstate my pleasure if I tried. Personal service-Excellent! Value-Excellent! Quality-Excellent! So glad I found David Meddings DeSign! 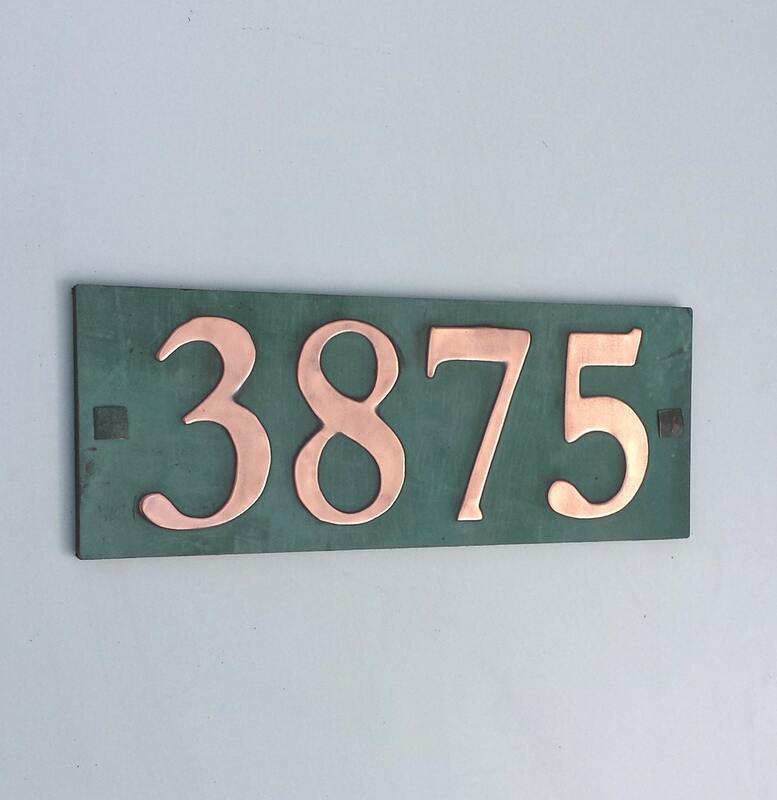 My husband and I bought this copper address sign to celebrate our 7 year anniversary (the year of copper). Couldn't be happier. Looks amazing and is of great quality. Thank you!